BNP stands for B-type natriuretic peptide. This is a hormone that is released by the bottom two chambers of the heart (ventricles) in response to increased work. For example, increased pressure or increased stretch of the heart chambers leads to increased release of BNP. The main physiologic role of BNP is to act on the kidneys to promote increased salt and water loss (increased urine production). When the heart muscle releases BNP it does so in a precursor form called NT-propBNP. The molecule is then converted into the active form referred to as BNP. 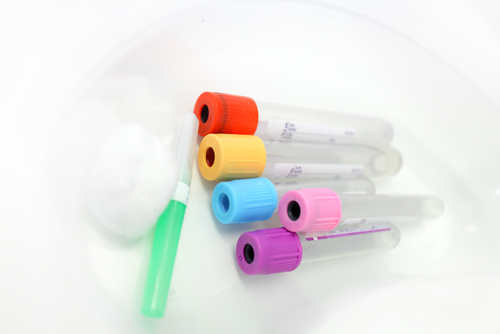 There are two laboratory tests that are available to measure BNP. The precursor NT-proBNP can be measured and the smaller molecule BNP can also be measured. Although the normal range for these two tests is different, they convey the same information. Be careful when looking at two different tests that you are not trying to compare BNP to NT-proBNP. It is best to choose which one you will be following and be consistent in measuring the same test each time. How Do We Use BNP in Pulmonary Arterial Hypertension? In PAH, BNP is used to measure how the right ventricle is managing to pump against the increased pressure in the pulmonary arteries. Some patients can have a very sick right ventricle with only moderately elevated pressures where other patients can remain very compensated despite very high pulmonary artery pressures. A stressed right ventricle releases more BNP than a less stressed right ventricle. BNP is not a stand-alone measure of how our patients are doing but when combined with a clinical evaluation it provides important information. When a patient is feeling more short of breath, there are many different possible problems that could contribute. By measuring BNP it can help refocus attention back to Pulmonary Arterial Hypertension as the culprit. The flip side is that in a patient that is doing less well, a very low BNP provides reassurance that the PAH is compensated and directs the doctor to look for other possible causes. Measuring BNP at regular intervals allows us to track the health of a patient’s right ventricle. We have numerous studies now that show that patients with low BNP have a better prognosis and that an elevated BNP is associated with a worse trajectory. What Can Patients Do To Improve Their BNP?